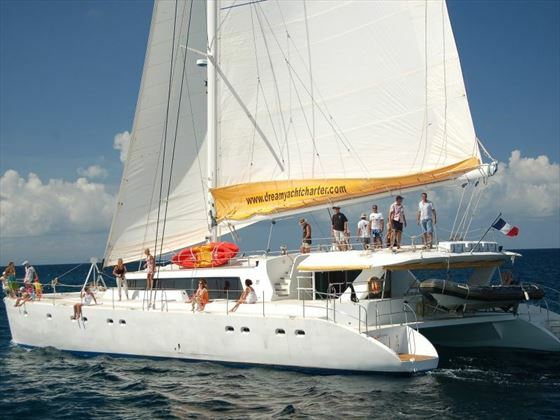 Journey between some of the Seychelles’ most beautiful inner islands on this fantastic cruise on board the Mojito 82 catamaran, offering 12 air conditioned cabins, spacious decks for sunbathing, and even snorkelling equipment and sea kayaks. 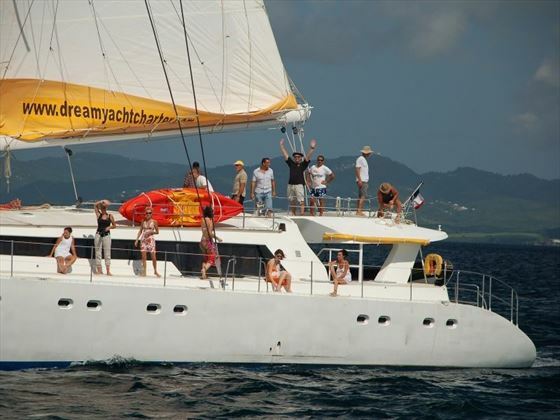 Starting in Mahe on a Monday at 1pm, you’ll sail across spectacular waters to Saint Anne Marine Park, Coco Island, La Digue, Cousin, Grand Soeur, Saint Pierre and Praslin before disembarking back in Mahe, enjoying fun snorkelling and scenic walks along the way. Your cruise is combined with stays at AVANI Seychelles Barbarons Resort & Spa, with two nights before the cruise, and two nights after. 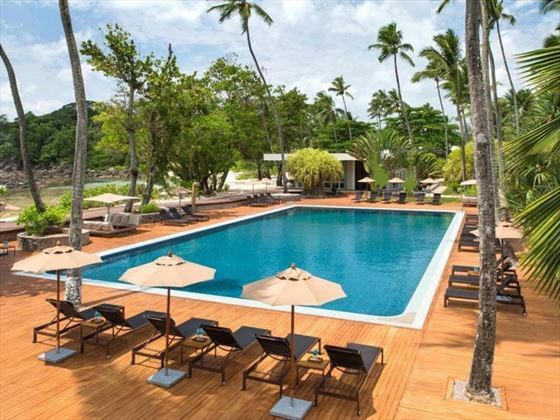 This gorgeous resort is nestled on the west coast of Mahe, offering exhilarating water sports, white sand beaches, a relaxing spa, and sumptuous restaurants. 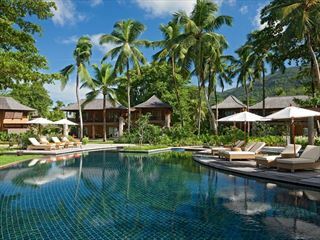 Upon arrival in Mahe, you will travel to your home for two nights; AVANI Seychelles Barbarons Resort & Spa. 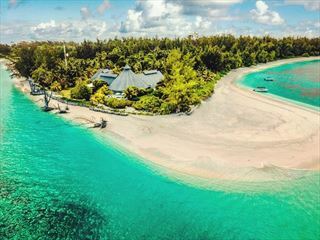 This beautiful beachfront resort offers a quiet, intimate ambience amongst stretches of white sand and luscious palm forest. 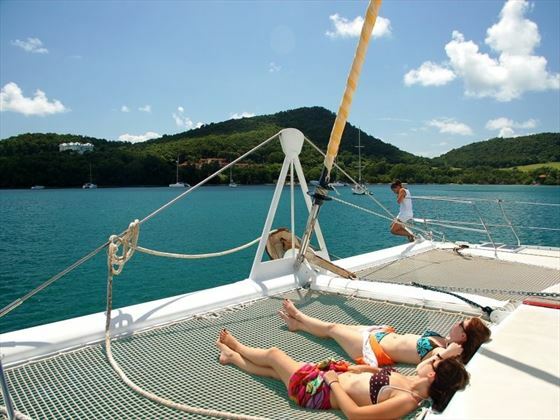 Ideal for soaking up the sunshine and relaxing, you’ll be able to spend your first two nights sunbathing, enjoying thrilling water sports, or tucking into authentic international cuisine. 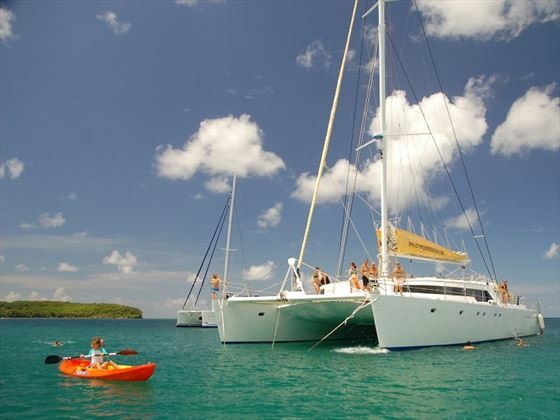 On Monday you will board the Mojito 82 at 1pm, before sailing across the topaz waters to Saint Anne Marine Park, and anchoring for the night. Today you’ll visit beautiful Saint Anne Marine Park, a stunning spot for snorkelling amongst coral reefs and tropical fish. After lunch you’ll cruise to Coco Island, another amazing place for snorkelling in the crystal clear waters that surround the island’s large rocks with strange regular stripes that are carved by the sea. 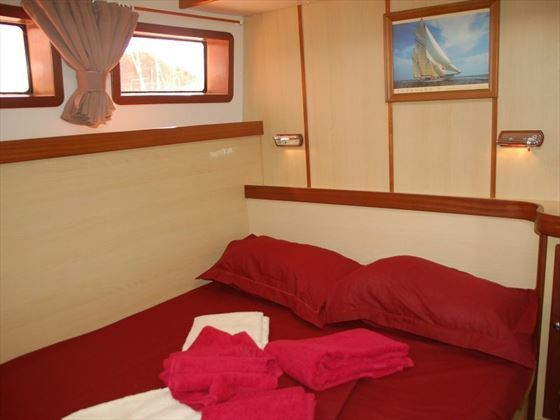 In the evening, you’ll anchor in La Digue. In the morning you’ll rent a bike at La Digue and tour the gorgeous island on wheel, winding under towering palm trees and cycling past quaint houses with palm tree roofs. There are no cars here, only bikes and carts drawn by oxen, given the island a tranquil ambience. Anchor at La Digue Harbour. After breakfast you’ll venture to Cousin, a striking nature reserve since 1968, and home to a plethora of rare birds and giant tortoises. 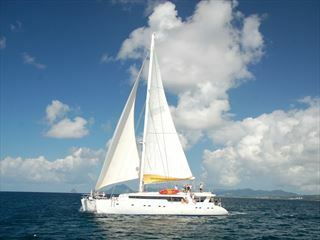 After exploring the granite islet you’ll have lunch on board, before spending the afternoon in Praslin. In the afternoon you’ll visit Vallée de Mai, an enchanting valley under UNESCO protection, covered with enormous Coco de Mer palm trees. Anchor in St. Anne Bay. Tuck into a delicious BBQ at one of the most beautiful beaches in the Seychelles, Grande Soeur. Surrounded by azure waters and covered in dense, lush forest, you’ll take a scenic 40 minute walk around the island, before trying out some water sports and relaxing in the sunshine. Anchorage in Curieuse or Anse Petite Cour. Explore Curieuse, a pretty island that’s part of the Marine National Park, and home to over 100 tortoises and spectacular inland walks. After lunch you’ll sail to Saint Pierre islet – seen in many glossy travel brochures, this island of rugged rocks crowned with lovely swaying palms is an excellent spot for snorkelling with colourful fish. Anchor in Anse Volbert or Anse Lazio. 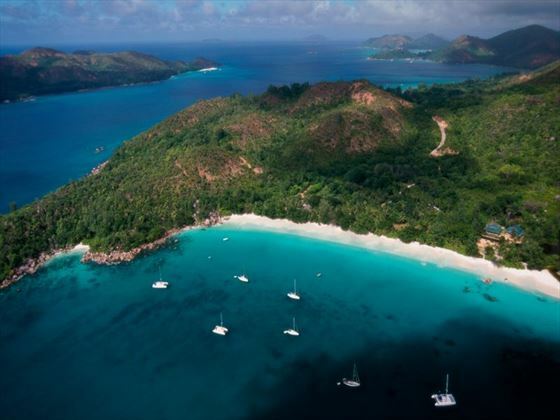 Today you’ll be able to enjoy the wonderful beaches of Praslin, taking part in snorkelling, swimming, or simply just sunbathing on the golden sands. You’ll return to Mahe in the afternoon for anchorage. In the early morning you’ll disembark in Mahe and travel back to AVANI Seychelles Barbadons Resort & Spa for another rejuvenating two night stay. 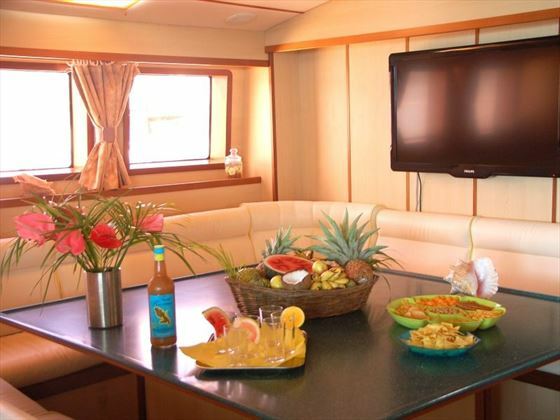 The Mojito 82 offers 12 air-conditioned double cabins, sleeping a maximum of 24 guests. 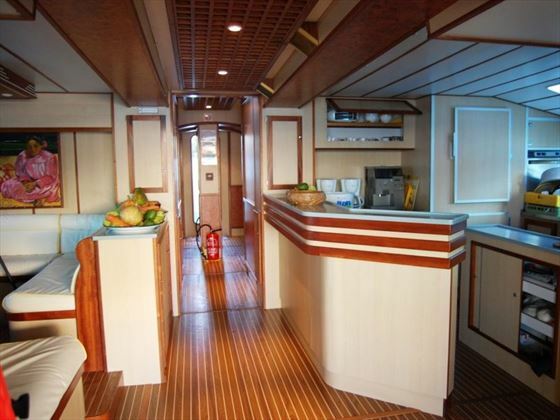 On board is a three person crew consisting of a captain, steward/cook, and a decks hand.